With sweeping views of the vineyard and Bay Area below, this raised deck provides a protected gathering place for weddings and social gatherings. 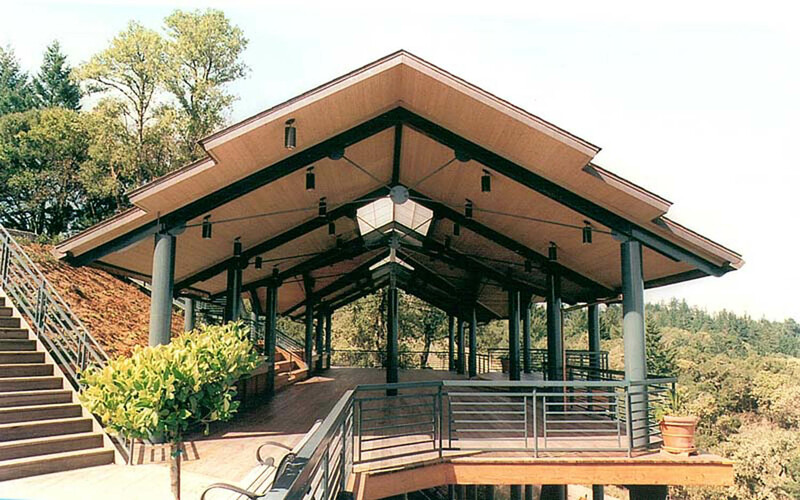 The unique truss system supports a copper roof that will develop a warm patina over time. Ridge skylights provide ample natural light to the center of the deck.